Mine does fun things like line up animals / dinosaurs / insects in a row for hours and hours... pick them up, put them in the 'row' (albeit a rather crooked row), take them all down and start again with the next innocent bunch of 'things'! 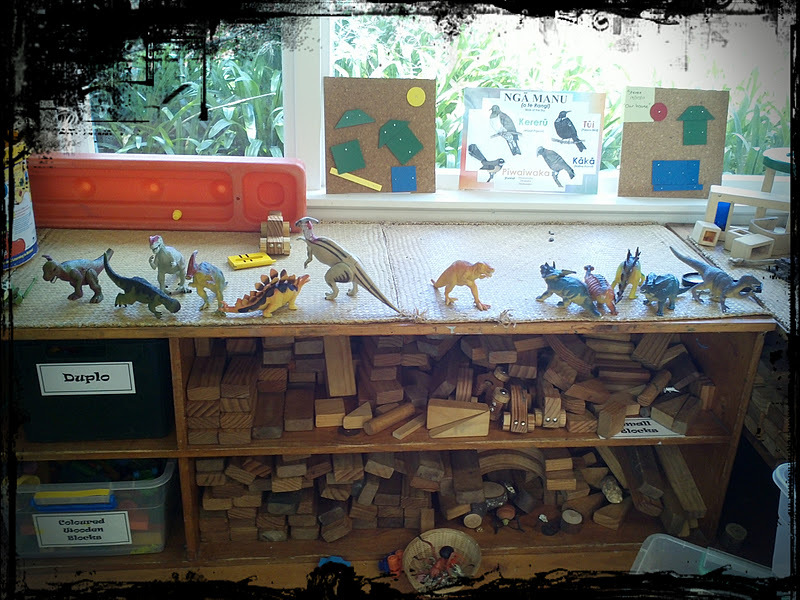 It can keep her occupied for up to 30 minutes, and this proud Mum had to take a photo of the dinosaur line-up... I think it's cute, even if I don't understand the obsession! You are allowed to be proud - i think the obsession may have something to do with sorting. So cute! I remember one of my brothers used to do this...lines of animals, army men, etc all very orderly and organised and planned. It must give her hours of entertainment!